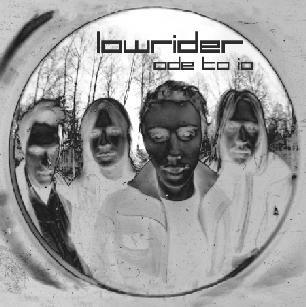 Lowrider - "Ode to Io"
Five or six songs into 'Ode to Io,' I'm wondering if Lowrider has much of anything to add to the already bulging catalog of stoner rock releases to date. "Caravan" kicks off with an awesome opening riff, followed up with layer after layer of fuzz and distortion. We've seen this before. The opening riff of "Flat Earth" is credited to one Felix Deneker, Jr. (who he? ), but it sounds remarkably like an old Black Sabbath sample. And even the phased bass guitar of Peder Bergstrand is reminiscent of Geezer Butler on "N.I.B." Still, Ole Hellquist's lead guitar work during the bridge was interesting and the track worked for me. After a couple more straight ahead stoner anthems and a short acoustic interlude ("Sun Devil"), Lowrider load up the latter part of the album with longer, more evolved compositions. Drummer Andreas Eriksson introduces "Anchor," with a more complex cadence than seen earlier. The two-phase "Texas" then begins a trend of more frequent stylistic transitions, and kills any thought of repetitiveness. Hellquist and Bergstrand share vocal duties (hard to tell who's who), and here we are treated to the full range of subdued-to-angry expression to great effectiveness. The bridge section of "Saguero" features an interesting tte--tte between the crunching duel guitar riff and several muted, almost jazzy interludes. The title track wraps things up in standard 4/4 stoner march mode, but then shows off extra-boomy bass and the most psychedelic guitar playing yet - both in the form of soloing and the heavily-echoed space guitar effects thrown in to boot. I can't really say that 'Ode to Io' is an important album in the annals of stoner rock, but I prefer this bunch of Swedes to several of the more famous names in the stoner business. Either vocalist here is preferable to Nebula's Eddie Glass, and the sheer bravado in riff production is what it's all about in this game. 'Ode to Io' has grown on me since first listen, and it's recommended to those who want to do serious damage to their eardrums. You can visit Lowrider at their web site. Ode to Io is distributed by Meteor City. You can visit their web site. Contact via snail mail at Meteor City; PO Box 40322, Albuquerque, NM 87196.